WASHINGTON -- Contentious new U.S. demands are set to hit NAFTA negotiating tables on Wednesday, threatening to push modernization talks toward collapse as Prime Minister Justin Trudeau again tries to remind U.S. President Donald Trump of the trade pact’s merits. Trudeau met with Trump at the Oval Office as hundreds of negotiators, government officials and lobbyists from Canada, Mexico and the United States descended on a hotel in Arlington, Virginia for a fourth round of talks. Trudeau said the two allies have a “good partnership” and said that an “ongoing, constructive relationship” between the two leaders is really important. In his private meeting with Trump, Trudeau was expected to remind the president that Canada is the United States’ biggest export customer, with largely balanced two-way goods and services trade, and is not the cause of U.S. manufacturing jobs lost under NAFTA, Canadian officials said. Mexican Foreign Minister Luis Videgaray warned that an end to NAFTA would mark a breaking point in U.S.-Mexican relations and affect bilateral cooperation in non-trade areas. The NAFTA talks are likely to stall in the face of aggressive U.S. demands to sharply increase content requirements for autos and auto parts, trade experts say. The Washington round promises to be difficult, with Mexican sources saying the talks are expected to be extended by two days to Oct 17. People briefed on the U.S. proposals said that the North American content threshold for automotive would rise to 85 per cent from the current 62.5 per cent, with a 50 per cent U.S.-specific content requirement. “These will be met with widespread opposition from Canada and Mexico. I think it’s just a bridge too far,” said Wendy Cutler, the Asia Society’s Washington policy director and former chief U.S. negotiator for the Trans-Pacific Partnership trade deal canceled by Trump. Mexican negotiators have said that singling out any one nation for more favorable treatment than its trading partners would undermine the spirit of the free-trade agreement. 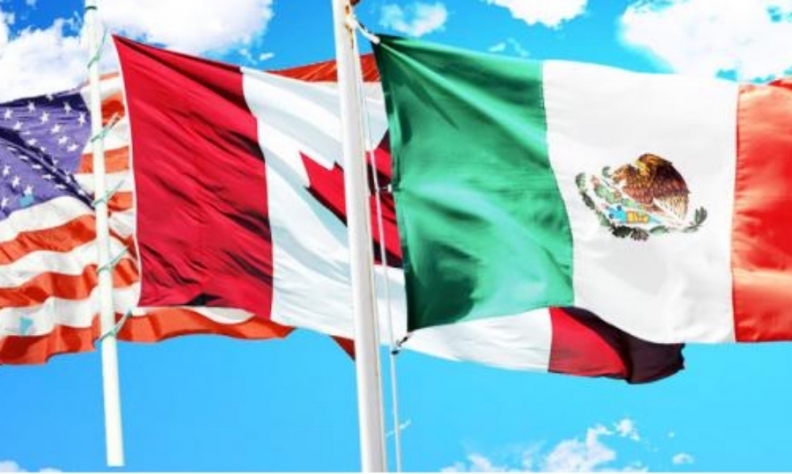 Furthermore, moving the origin requirements by just a few percentage points could potentially make it more profitable for some producers to manufacture elsewhere and simply pay import duties for access to the North American market, reducing local jobs for all. "We have to be very careful with rules of origin," said Eduardo Solis, president of the Mexican Automotive Industry Association. Solis, a former NAFTA negotiator now in Washington advising his government, said that a Mexican-made auto currently has about 40 per cent of its parts and components from U.S. sources. "If that vehicle is made in China instead, the estimates are that less than 2.5 per cent would be from the U.S., and we all lose," he told reporters during an event in Mexico City on Monday. His example isn't as far-fetched as it sounds. Ford decided this summer to make its Focus compact car in China and export it to the U.S. rather than building a new plant in Mexico as originally planned. Solis also took issue with a study cited by U.S. officials that suggested Mexican-made vehicles had a significantly lower percentage of U.S. content than estimated by his group. The study by the Organization for Economic Cooperation and Development dates from 2011 and uses questionable methodology, Solis said. A recent analysis in Mexico puts U.S. content between 37 and 39.5 percent on average. "There is no doubt about the levels of integration that we have reached today, and of course it's important for us that this delicate and important negotiation is done with hard data and up-to-date, real numbers," he said. Laurence Iliff of Automotive News contributed to this report.